I usually don’t have problem with reading small fonts, however the default font size of Command Prompt in Windows 8 is way too small for me. Not sure if I must check my eyes, but as I must open it, I had to change Command Prompt font size of my laptop. This happened when I recorded my previous Windows 8 video tips about installing Octopress. In Mac, you can immediately go to an application’s “Preferences” but in Windows, if you don’t get used to it, it’s a bit tricky. So I thought I had to share it here. 1. Open Command Prompt (this is the definition of it in Wikipedia), you can look for it in your start screen or just hover your charm bar and look for it from “Search”. 2. Then once it’s opened, you can right click anywhere on the top left, and select on “Properties”. 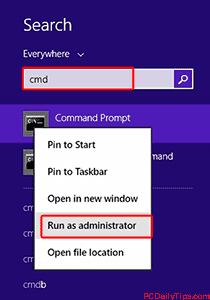 Command Prompt properties after right click on the top left. 3. 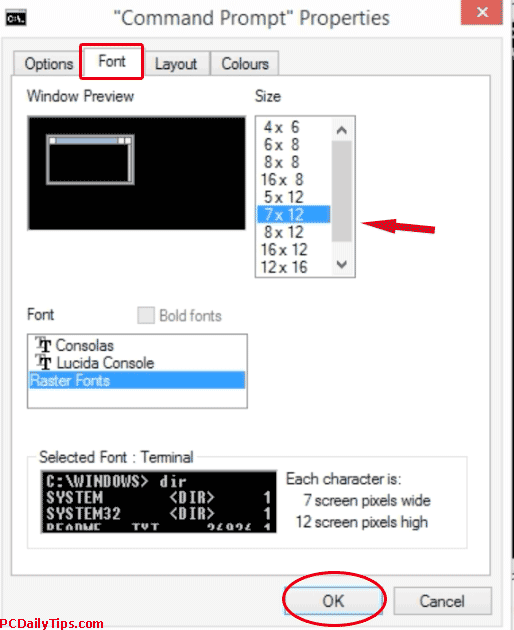 In Command Prompt’s Properties dialog box, choose “Font” tab on the top, and select any font size you like. 4. Click OK. That’s it.